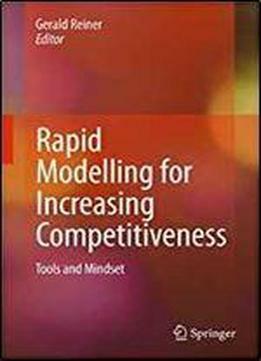 This proceedings volume of selected papers presented at the 1st Rapid Modelling Conference 'Increasing Competitiveness Tools and Mindset' gives a state-of-the-art overview of current research and new developments in the field of rapid modelling linked with lead time reduction. Rapid Modelling is generally based on queuing theory, but other mathematical modelling techniques are of interest, as are simulation models to facilitate the transfer of knowledge from theory to application, providing the theoretical foundations for successful lead time reduction. Rapid Modelling for Increasing Competitiveness suggests that companies which are equipped for speed, with innovative processes, will outperform their slower competitors in many industries. The research papers presented in this book can be used to support the exchange of knowledge between researchers, as well as practitioners on the subject of increasing competitiveness through speed.